We capped off 2018 with a fantastic Christmas Shotgun Tournament. Every week I see new members pop up on the rosters, so let’s make sure to show how great our club is and welcome them aboard. The 2019 schedule has been posted, including 5 away trips and the weekender in October. The New Year also means that we all have to learn the ins and outs of the new rules. Bob Livingstone is the perfect guy to guide us through this challenge. There are still plenty of the new rule books left which will be available at the General Meeting and the January tournament. Be sure to grab one if you haven’t already. Also, Team Play starts in January. Good luck guys! Play hard and have fun. 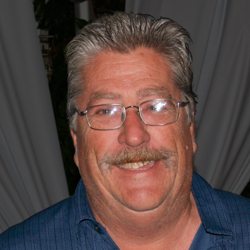 The BOD welcomes Don Didier as our new Special Events Director. I’m sure Don is going to do a great job and we are excited that he joined the Board. The monthly meeting of the El Dorado Park Men’s Golf Club was held on Tuesday, December 11, 2018 in the Big White Tent. The pre-meeting dinner was a nice Christmas feast – turkey and stuffing, mashed potatoes and gravy, peas and carrots, cranberry sauce, cornbread, salad and carrot cake and chocolate cake for desert. The meeting was called to order at 7:00 pm by President Cliff Aichele who led us in the Pledge of Allegiance. There were approximately 140 members in attendance (the most since last December), including Past Presidents Richard Scoville, Jerry Leininger, Dennis Tramer, Mike Montgomery, Terry Fulford, Don Marmion, Tom Conlisk, Tom Retterath, Nick Zamora and Life Member the newly retired Bob Livingstone. No more counting the days Livy. New members Mike Cole, Steve Sterry and Allen Starr introduced themselves to the group and were given the New Member Spiel by Past President Nick Zamora. The previous month’s Minutes and Treasurer’s Report were approved. Director Bob Livingstone discussed “taking relief” pursuant to the new rules effective 1/1/2019. Bob noted that there were new Rule Books available on the tables and at the Tournament this weekend. There will be an interactive web site available early next year to ask questions and get answers relative to the new rules. 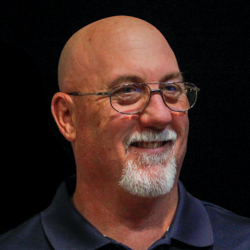 Bob will discuss how the new rules impact Team Play at the January General Meeting. Bob then dealt with specific questions from the floor. Director Jerry Leininger reminded us he is running a $30 Derby on Saturday. Director Mike Montgomery noted that he would be selling raffle tickets for a couple minutes after the meeting prior to the drawing. Director Matt Huntington announced the Golfers of the Month for November. Gross winner was Noah Busch with a 70. Net winner was (believe it or not) yours truly with a 66. Matty is also running a Derby on Saturday. Director Omar Diaz announced the Special Events for this month’s Christmas Tournament. We’ll have skins (gross for A and B Flights, net for C Flight), second shot on #5 in the circle (on the green for the C Flight), and Honeypot (Net 70 or better). Director Lucero again strongly urged everyone to consider playing in Away Tournaments next year. We should have a minimum of 64 players at each event. We have 6 Away Tournaments next year. The first is at Rec Park on January 27. New Schedule Cards are available that list all Home and Away Tournaments. Lucero announced the winner of the Little Brown Jug – the overall Away Tournament Champion. And the winner is……..A tie between Matt Williams and Dennis (I never win anything) Tramer. Congratulations guys. Director Zamora urged everyone to sign up for the Hole In One Fund, as it was just won by Vern Cannon at the November Tournament. Nice job Vern. Director Mike Vaughn announced the Flights Championship results and awarded prizes and trophies to winners. Mike reminded us that Quad Club is coming up in April. 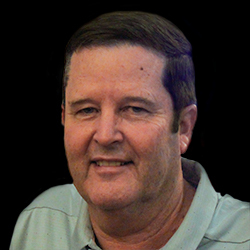 Vice President/Tournament Chairman Dennis Tramer announced the results of November’s Superintendent’s Revenge Tournament. He noted that we have 198 players for the Christmas Tournament – the most in a long time. So be ready and play as quick as you can and maybe it will only be a 6 hour round. Be sure to check in prior to 7:15. The $50 Drawing winner was Cliff Aichele. No – he didn’t promise me 1/2. The meeting was adjourned at 7:50. Mike Montgomery sold raffle tickets for a few minutes and then started the drawing. Can you believe another New Year is here? The process of constructing our 25-man team for the 2019 Quad Club is in gear. The event will be Saturday April 27, hosted by Skylinks. The Pros will most likely tee it up first at 7:00 am followed by the Club Presidents. Players who won 3 points last year at Lakewood have anchored spots on this years’ team and are being given first dibs. Other members who scored well or have the potential to score well will be recruited to put together a team to win so we can place the Quad Club trophy back in our trophy case! During Daylight Saving Time, a Putting Tournament will be held on the south putting green each month on the Tuesday of the monthly meeting starting around 5:30 pm. As normal, the Flights Match Play Championships will close the year. Signups for Flights will be started in June. Signup fee will be $20 per player. The first round matches can be played as early as August 1. What a nice day we had for the CHRISTMAS Tournament. First off I would like to thank all the players for keeping up and playing very fast for this tournament. We had 33 sixsomes on the course and we played in around 6 hours. GREAT JOB GENTLEMEN! Let’s start off with your “A” Flight winners, as the Gross winners (led with a nice 68 by Nick Mardesich) at 7 under par were Nick Mardesich, Adam Horodyski & Jimmy “the kid” Byers. 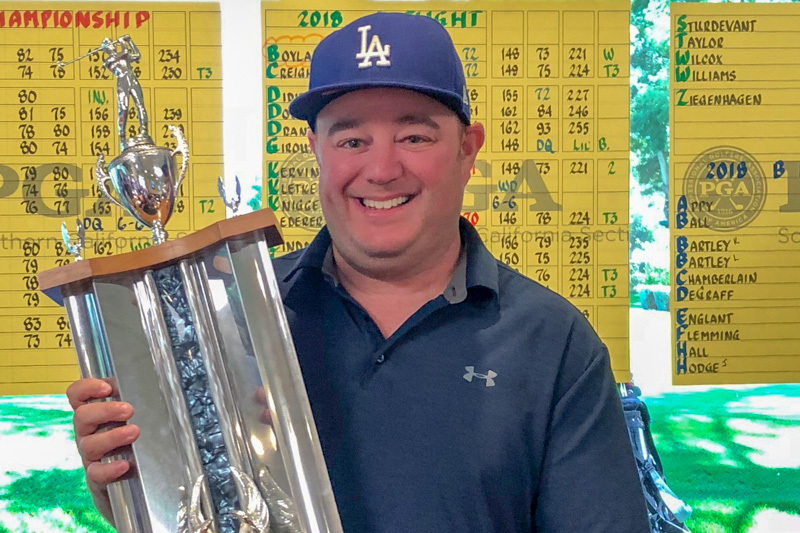 The “A” Net was a “RETTERATH BANDITS” affair as winning a cardoff with an 11-under 133 were Rich Boyker, Ryan Boyker & Glenn Sparks over the aforementioned Tom Retterath, Greg Andersen & Mike Moraitis. For the “B” Flight, winning the Gross with a fine 7 over par 151 was Terry Cormack, Walter Gordon, & Bryan Knigge. For the Net, winning a card off at 10 under 134 (over Byron Brno & the “Huge Nuts” boys Don & Bret) we had Dudley Dennison, John Jameson & Mike Dugan. Dudley finally listened to me as I told him he could win if he dumped Rob Kuehn. There was no surprise as the “C” Flight was won by the “Hottest Team out there". Collecting the Gross with a 10 over 154 (they also would have won net) were the “PUPS" Roger & Tyler Marmion and being the nice boys that they are, they let “Daddy” Yellow Dog tag along for the victory. Winning the net at a 13 under 131, was the “boys” that usually play with them every month Chris McMonigle, Shaun Steenwyck & Mike Burke. JERRY, you seeing this? Last but least the “D” Flight had the lowest score of the tournament with a 15 under 129 (but they also won the gross with a 16 over 160) were Colin Boylan, Kevin Boylan & Mark Trentacosta. Benefitting from that team winning the Gross and then winning a cardoff for net over Richard Scoville, Tim Braswell & Mark Meyer at a 12 under 132, was Tinman “Bagger” Fulford, Lee McCullough & Carl Taylor. NICE SHOOTING TO ALL YOU WINNERS. As Always the complete results are on the Website. Coming up Sunday the 13th of January is the Scramble. Again we have a very full field so we need to play quickly. Since this is a SCRAMBLE the early times should finish no later than 4:15 and the later groups 4:45. As always we will play fivesomes using the “Tramer” HDCP System which is as follows ( HDCP OF 3 OR LOWER =0 4-6=.5 7-9=1 10-12=1.5 13-15=2 16-19=2.5 20-22 =3 23-25=3.5 26 & ABOVE =4) and we have a 3 Drive Minimum per player. We will play the BLUE TEES except for the Par 3’s so I have a chance to get there with a Driver. So that means a 175 Yard Max on those holes. I will be taking signups for the February Select Drive which is on SUNDAY, February 17th at the January meeting. Once again we are limited in times so if you want to play come to the meeting. 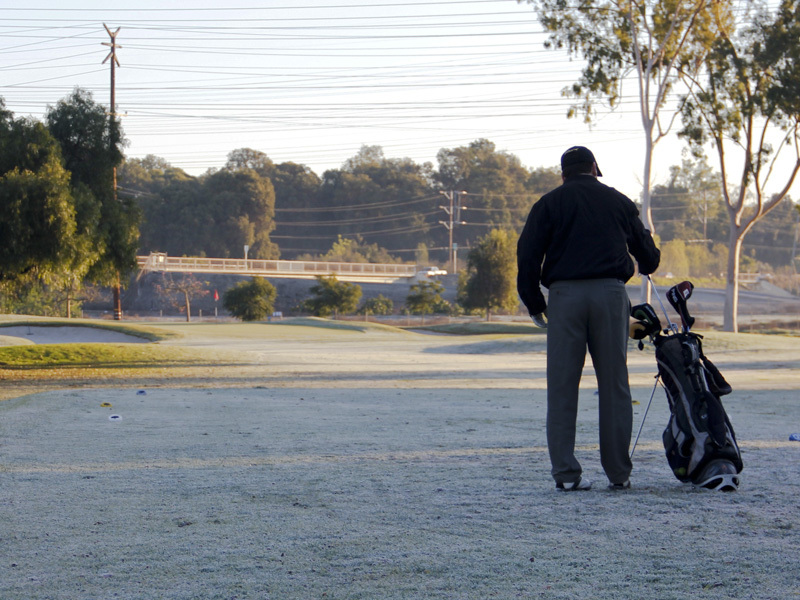 This Tournament is a 3 Best Ball played at 80% of your current or assigned Handicap. You must use 3 drives minimum from every player. First and foremost, thank you Omar for an excellent term as Special Events Director. One of the most underappreciated tasks Omar accomplished is posting results quickly. All players like to see results a soon as possible. Working together, Dennis and Omar have set that bar pretty high. I’ll do my best to keep it there! The Christmas Shotgun Tournament was a great success! 53 members got a piece of the Special Events pot lead by Mel Collins, Kevin Mehlbrech and Mickey Miller in A Flight, Brian Dauk stood out in B Flight and Ricky Evans, Terry Fletcher and Shaun Steenwyk had strong showings in C Flight. Well done everyone! All results are posted on the website. Happy New Year to all! Looking forward to a great 2019! Greetings fellow golfers and weekend buddies. Let me start by saying Happy New Year to all of you. Last year was great, lets make it an even better one this year. You must play in 4 away trips to qualify. Our first away trip of the year is at the Recreation Park in Long Beach Sunday, January 27; green fees are $70 plus $10 skins. 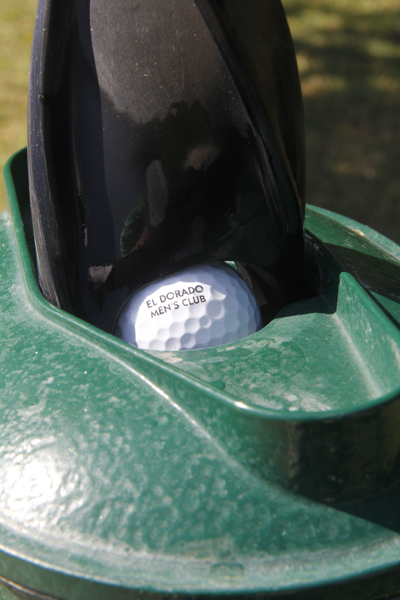 We are playing fivesomes from the combo tees, just look for El Dorado lollipops on the tee boxes. The scoring format will be the Waltz, and because is a fivesome is 2-3-4; 2 scores on the first hole, 3 scores on the 2nd hole and 4 scores on the 3rd hole and repeat. Hope to see all of yo guys out there in our away trips. I know that both Bob Livingstone and Omar Diaz will go over the new 2019 Rules of Golf changes several times but if you are interested go to SCGA.org web site and under Rules you will find several articles form both the USGA and SCGA that are very helpful. If you are out on the course only have your smart phone with you, this web site will be useful. Honorable mention to Brian Gonzales and Paul Goydos who showed a great deal of improvement in 2018 calendar year. Congratulations to all who showed Improvement in their game. We are ready to launch our El Dorado Men’s Club Rules of Golf Forum and Chat Room that was mentioned in December. Look for the link on the Home page or in the Monthly Member email. While anyone can read the various message strings or postings, in order to participate by writing posts or submitting questions, you will need to create an account with a user name and password. This can be done the first time you go the site or any time after that. The purpose of this Chat Room will be to recap the Rules that are discussed at each General Meeting, provide education and links about the new 2019 Rules and answer questions about the Rules that are submitted by members. The Board has also approved new Local Rules and copies of our "Hard Card" will be available at either the January Meeting or January Tournament. Of note, we have adopted Model Local Rule F-5; if there is an immovable obstruction (like a sprinkler head or coupler cover) on your line of play and it is within 2 clubs lengths of the green and within two club lengths of your ball, and your ball is in grass mowed to fairway height or less, you may take relief. You are welcome Terry Fulford and the many people for whom you were a trailblazer! Notes: $110 Nov. Dishonored Check was never deducted, so shouldn't have been added. A total of $5,691.89 was added to the Christmas Tournament above entry fees (including tee prizes and prize fund). We do not have any prepaid expenses for 2019; the net membership income from September 1 is $1,440. We will be carrying forward $10,855.96 to 2019. The January 2019 Scramble is in the books. 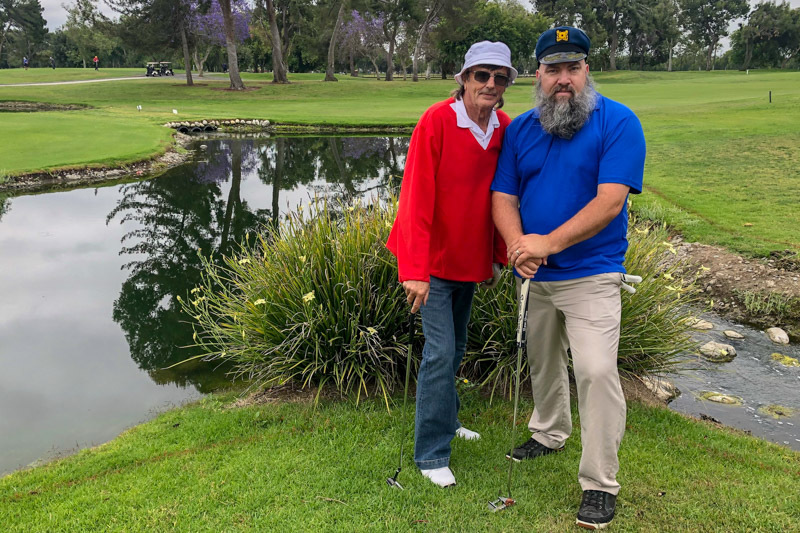 Even though we had a fair amount of rain before the tournament, causing many of us to wade through a little water to get to the golf ball, it was still a nice day and we got to play golf after all. How much more can a person ask for? Lucero put together a great Away Tournament at Recreation Park. The course was in great shape with smooth, fast greens. Team Play is in full swing and off to a solid start. Thursday Team’s first home match vs. Los Verdes was postponed due to rain. Fortunately, they went on the road the following week and beat them handily. Coming up this month is the end of the “Silly Season,” culminating with the Select Drive. This tournament gives you a lot more chances to hit from the middle of the fairway which makes it a lot of fun. 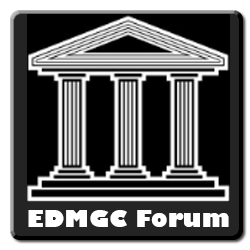 The NEW EDMGC Forum is up and running. This is a very useful tool for any rules questions that you may have and help with understanding the plethora of 2019 Rules changes. 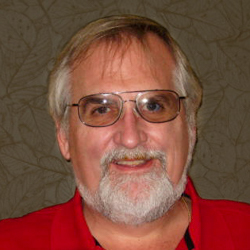 Bob Livingstone, our very own Rules Guru, is very quick to respond answering questions posted in the forum. 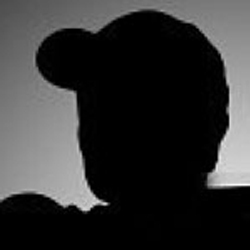 A link is located on the front page of the EDMGC website in the “Club Information” section. It’s that time of year when I like to remind veteran members, and inform new members, of the following club policy. To be eligible to play in the any of the 3 club subsidized events: The Member-Member, The Club Championship and The Christmas Tournament, you must have played in at least 3 club events in the previous 12 months to the subsidized tournament. 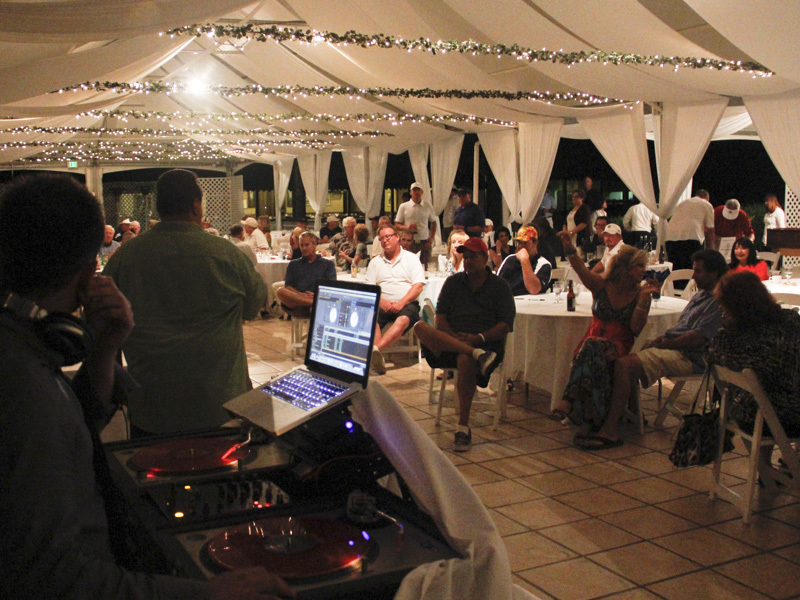 “Club events” are defined as monthly tournaments, away tournaments, Team Play, Quad Club or the Weekender. There is plenty of time to play in 3 events and qualify for these subsidized tournaments. The monthly meeting of the El Dorado Park Men’s Golf Club was held on Tuesday, January 8, 2019 in the Big White Tent. The pre-meeting dinner was Chef Roberto Bingamini’s Italian Special: salad, fettuccine, both red and white sauces, meatballs, sausages/peppers/onions, ravioli, garlic bread, fresh Parmesan cheese, and cookies for desert. The meeting was called to order at 7:00 pm by President Cliff Aichele who led us in the Pledge of Allegiance. There were approximately 85 members in attendance, including Past Presidents Richard Scoville, Jerry Leininger, Dennis Tramer, Mike Montgomery, Terry Fulford, and Life Member Bob Livingstone. New members Jesse Duncan, Robert Griggs, Donny Dubry and Wayne Tranchon introduced themselves to the group and were given the New Member Spiel by Past President Terry Fulford. Director Bob Livingstone discussed various aspects of Team Play pursuant to the new rules effective 1/1/2019. Bob noted that there were new Rule Books available. There will be a Forum Chat Room available on the Club’s web site in the near future to ask questions and get answers relative to the new rules. 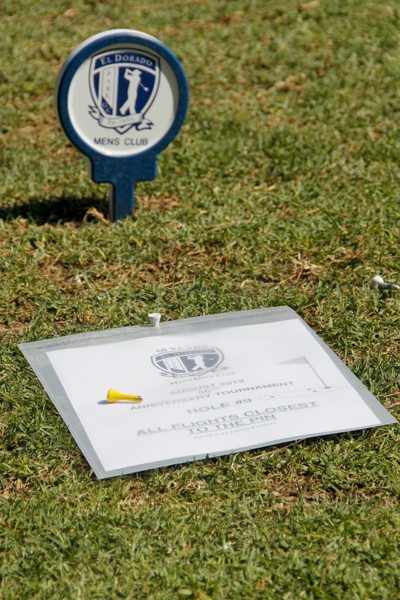 Bob then discussed the Club’s Hard Card, which lays out Local Rules as adopted, with special emphasis on relief from sprinkler heads near the green. Bob then dealt with specific questions from the floor. Director Jerry Leininger reported that the Most Improved Golfer for the 4th Quarter was Sam Krishna, while the Most Improved Golfer for the Year 2018 was Bret Holloway. Congratulations men – getting better is what we’re all trying to do. Director Mike Montgomery re-emphasized the need to BE READY to tee off at your starting time. With limited daylight hours this time of the year, and our 180+ players every month, we all need to be ready and keep up with the group ahead. Director Matt Huntington announced the Golfers of the Month for December. Gross winner was Nick Mardesich with a nice 68, while Net honors went to Sam Krishna with a very low 64. Quite a night for Sam, who should be expecting a letter from the Handicap Committee in the near future . Such is the price of success. 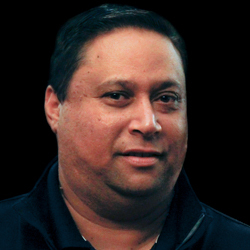 Director Don Didier, after thanking Omar for his outstanding service as previous Special Events Director, and noting that more than 50 players shared in Special Events winnings at the December Tournament, announced the Special Events for this month’s Scramble Tournament. We’ll have CTP on Holes #3 and 12 (paying 5 places each), and In the Circle A and B Flights/On the Green C Flight on Holes #9 and 17. Director Lucero reminded everyone that our first Away Tournament of the year is January 27 at Rec Park. Contact Lucero to sign up. Total cost is $80 and we’ll play from the combo tees. The Weekender currently scheduled for the last weekend in October is a little iffy right now, as San Vicente may not be reopened by then. We’re looking at other options just in case. More info to follow. 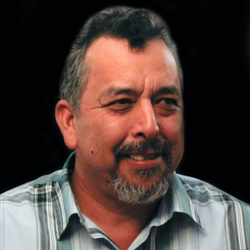 Lucero noted that the Little Brown Jug Award for 2019 has been increased to $100. Director Mike Vaughn reminded us that Quad Club is coming up on April 27 at Skylinks . Cost will be $48 plus cart. Vice President/Tournament Chairman Dennis Tramer announced the results of December’s Christmas Tournament and congratulated us all for finishing in just under 6 hours, which wasn’t bad considering we had 198 golfers. 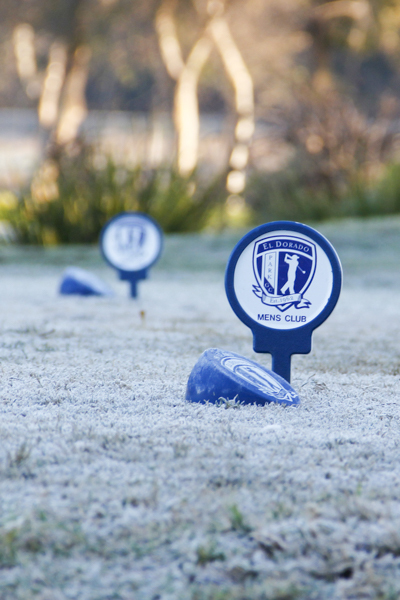 January’s Tournament is the Scramble, requiring a minimum of 3 drives from each player. Don’t let the threat of rain keep you away. Unless the course closes (which practically never happens) we’re playing. And if you don’t show you’re still paying. The $50 Drawing winner was Michael Burke, the 7th name I called. Guess who was #8? So close. Daylight Saving Time starts this year at 2:00 am Sunday March 10 and ends Sunday November 3 at 2:00 am. The Putting Contest will be held on meeting night during the months of March, April, May, June, July, August, September and October at or about 5:15 and continue to 6:45 pm on the south green. The Board has voted to increase our stipend to $50 for each month's putting tournament! This will allow for a combination of more winners and/or more handsome payouts. Normal participants are welcomed back and new players are encouraged to participate in this fun activity. Bring your putter and take a shot at winning some extra cash. Format changes monthly. Quad Club is to be contested Saturday April 27 at Skylinks. Teams will consist of 25 players. Cost to play will be $60 per player which includes green fee and prize fund. Your handicap will be determined per your April 15 Current Index. Please have your money to me in cash or a check payable to “Mike Vaughn” ASAP, NLT the April 1 Gross / 2 Net tournament on Saturday April 14. 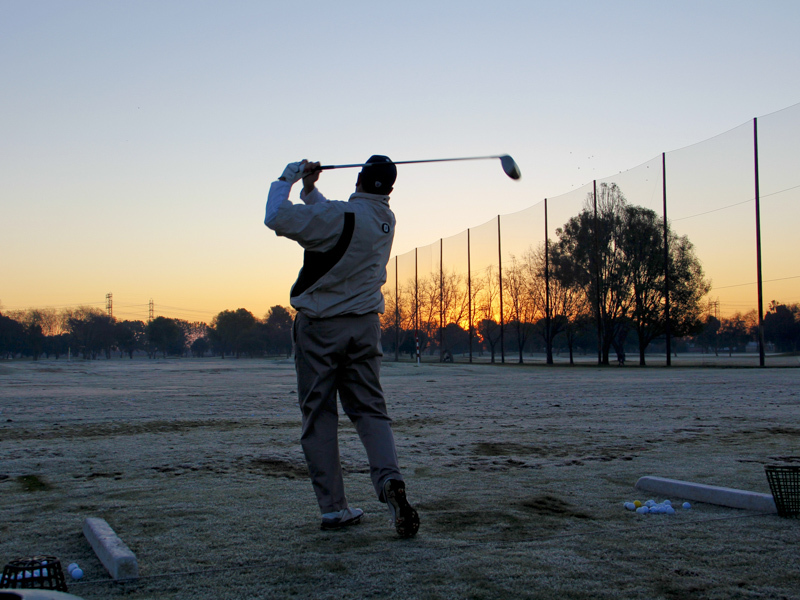 The first group starting time will be Club Pros at 7:00 am. The President / Vice President group will most likely tee off second, with groups proceeding from lower to higher handicap. It is not yet know which tees we will be playing from. The format will be Medal play using the 3-2-1-0 point system. The initial players sought to be on this team have been contacted. Players who win 3-points this year will have a roster spot guaranteed for the 2019 event when the event returns to Rec Park. Flight Championships will be put together in mid-summer. Those matches will get underway as early as August 1. Player entry fee will remain at $20. Signups to be begin NLT June 1. More on that when the time gets closer. 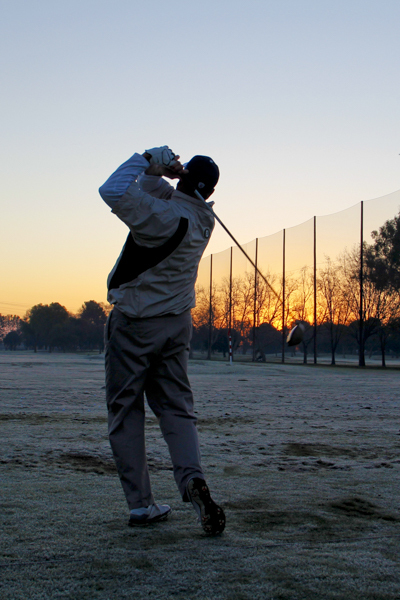 Always remain a professional while at or on the golf course, regardless of how you played. Sunday the 13th of January the Scramble went quite well and everyone finished before dusk. Scores were a tad higher than normal, and all the Flights were quite close for cashing. In the “A” no surprise for the Gross as the winners with a 15 under 57 was “Gonzo”, Steve Sterry, Chris Villalobos, Austin Barisoff & Mickey Miller. They told me playing in these tournaments is like going to the ATM machine. Getting the “A” Net at a 18 under 54 was CJ Triola, Brent Huntington, Bill Hasselman, John Hasselman & Mark Schmillian. It’s been a while since these “Kids” have even cashed so it’s nice to see that they’re back to playing like we know they can. In the “B” winning the Gross with a 11 under 61 was BAGGER TINMAN FULFORD, Lee McCullough, Carl Taylor, Mel Collins & Jeff Thomas (New Member). For the net winning a cardoff with a 19 under 53 was the Team that wins every month. Roger Marmion, Tyler Marmion, Chris McMonigle, Shaun Steenwyck & Mike Burke. In the “C” Flight (the C is for CHOP) winning the Gross with an 11 under 61 was Brett Latzsch, Bill Walton, Walter Lee, Dan Ahearn & Dean Booher. The net winners at 19.5 under were the Retterath Bandits own Henry Degraaff, Jeff Degraaff, Danny Martin, Cary Thomason & Pingo Zamarripa. 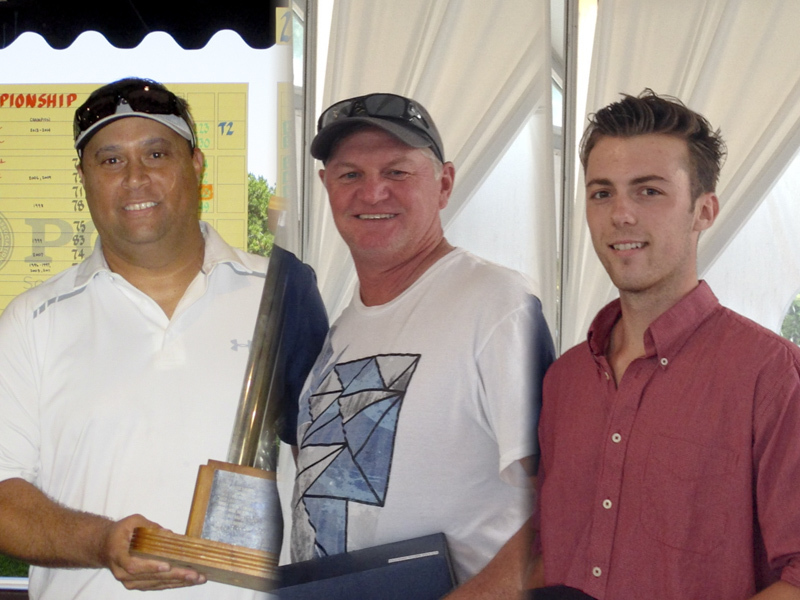 In the 4 man Folight winning by 3.5 shots with a 20.5 under 51.5 was Matt Williams, Craig McDonald, Matt Dao & Josh Dubon. Coming up on SUNDAY, February 17th is the Select Drive. Once again we are booked to the hilt so once again we need to play fast. If you are out of the hole PICK UP YOUR BALL. 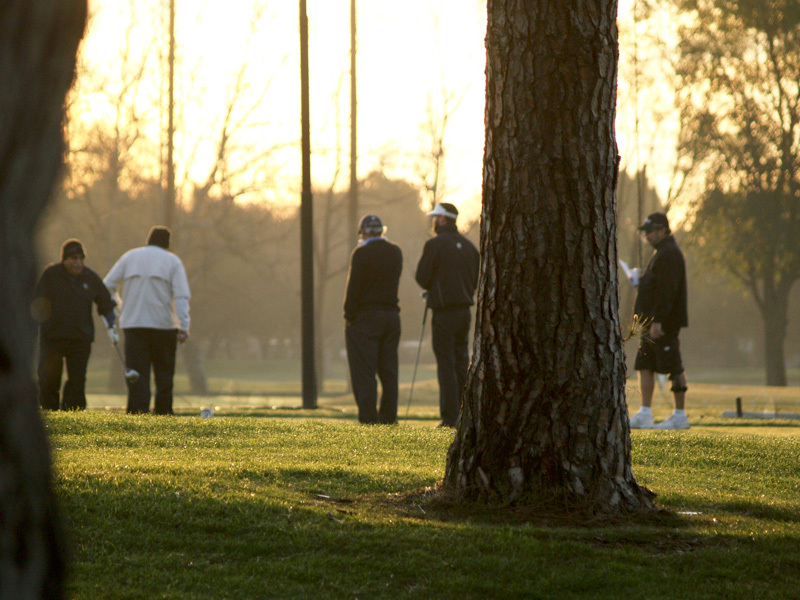 This Tournament is a 3-Best Ball played at 80% of your current or assigned Handicap. You must use 3 drives minimum from every player. At the meeting I will be taking signups for the 1-2-3 Pat Harris Waltz which is on St. Paddy’s Day; Sunday, March 17th. Daylight Saving is back, so there should be plenty of times, so everyone should get into the tournament. I will be out of town for this meeting and tournament so I will inform you at this month’s meeting and in next month’s newsletter who THE POOR SUCKER is that will be taking care of all the signups at the March meeting. We had 51 players earn points in the January Scramble Special Events. A Flight had strong showings from Scott Davis, Omar Diaz, John Hasselman, Nick Mardesich and Bob Livingstone. Robert Creighton and Dana Pagett dominated B Flight as they were the only ones to get inside the circle on #17! Mark Meyer hit it to 9” on #3. Nice shot Mark! Nobody from B Flight got inside the circle on #9. Come on man! Michael Burke and Walter Lee racked up the points in C Flight. Michael was the only player in the field to hit all four targets and Walter Lee the only player to hit 3 of 4 targets! February Select Drive Tournament will limit us to circles and KP’s again. We’ll have circles on holes 3 & 17 and KP’s on holes 9 & 12. Let's start by saying the Rec was a total success, even though we had a few hiccups with the Marshall. Our first place winners, it had to be one of the bandits - the Eric Lishka group, followed by the Jim Crosby group and third place, Mike Montgomery's group. Our gross winner was David Spencer with a 75 and our Net winner was Terry Fulford with a 66 net. And of course the biggest sandbagger of all time Henry Degraaff and Jeff Tanner pretty much cleaned out all the skins (no more double dots). 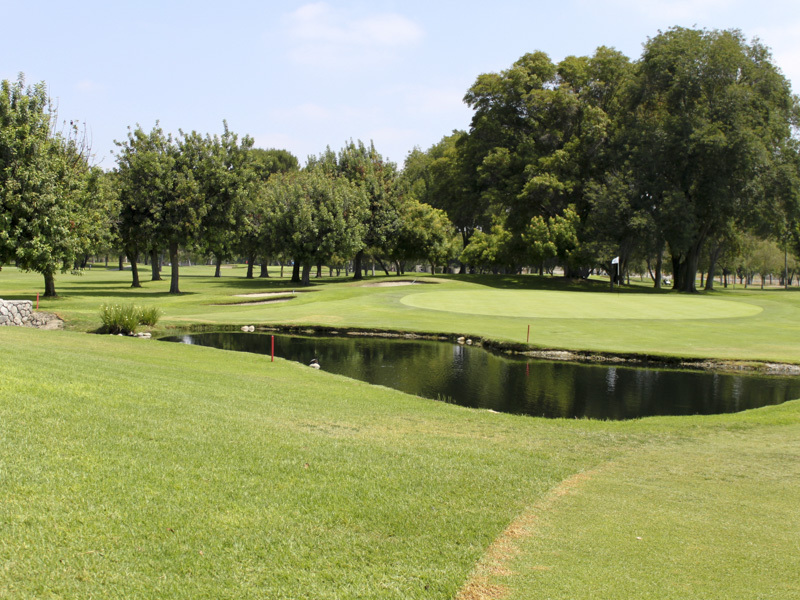 Our next away trip is going to be at the Costa Mesa (Los Lagos) on Sunday, March 31, green fees and prize funds are $90 plus $10 skins. I need to have your groups by the first week of March, so if you are interested in playing please give me your group as soon as possible. PS: We are starting the hole in one fund for the away trips. It's $10 and I'll be collecting that money. If you are interested, come see me. With all the rain we are having, I thought it is a good time to review Posting scores when using "Preferred Lies" or as we call them, Lift, Clean, and Place. During our tournaments the "Tournament Committee' / Handicap Committee determines if a "local rule" (Preferred Lies) will be in effect and scores are to be posted. "if an individual decides to apply some form of this local rule and the Committee has NOT invoked such a rule, the players score is acceptable and must be posted for handicap purposes"
Bottom Line - Post your score when using Preferred Lies when playing with your buddies. The following will play to their Low Index or Assigned Index in all El Dorado Park events. At the February General Meeting we will go over our 2019 Hard Card. This contains the Local Rules for all of our events at Eldo. Copies are available at each Meeting and Tournament, so pick up ONE and keep it in your golf bag. You can also find it (and print a copy of it if you wish) on the website; look for the Local Rules link on the Home page. For those of you fortunate enough to learn at the knee of Terry Fulford, and who therefore putt from anywhere from 2 to 20 yards off the green, we now allow relief from obstructions near the green (sprinklers, couplers, etc.). If the obstruction is on your line of play and within 2 club lengths of the green and if your ball is within 2 club lengths of the obstruction, you may take relief. We will go over this and all of the other Rules that have been adopted at the meeting, so see you there. Thanks everyone for the great turn out at the Select Drive. Even though the conditions weren’t ideal, everyone seemed to enjoy getting out on the course. This kind of commitment to the El Dorado Golf Course goes a long way, and I know General Manager Sung really appreciated it. This month we get to celebrate one the great past characters of our club: Pat Harris. What better way to do it than on March 17th during the Pat Harris St. Patrick’s Day Waltz. I will be filling in for Dennis on meeting night so come see me if you want to pay or make changes to your lineup for the Waltz. Nick Z. will be handling signups for the April 1 Gross 2 Net tournament at the conclusion of the meeting. Looking forward to seeing all of you at the Tuesday March 12th General Meeting. 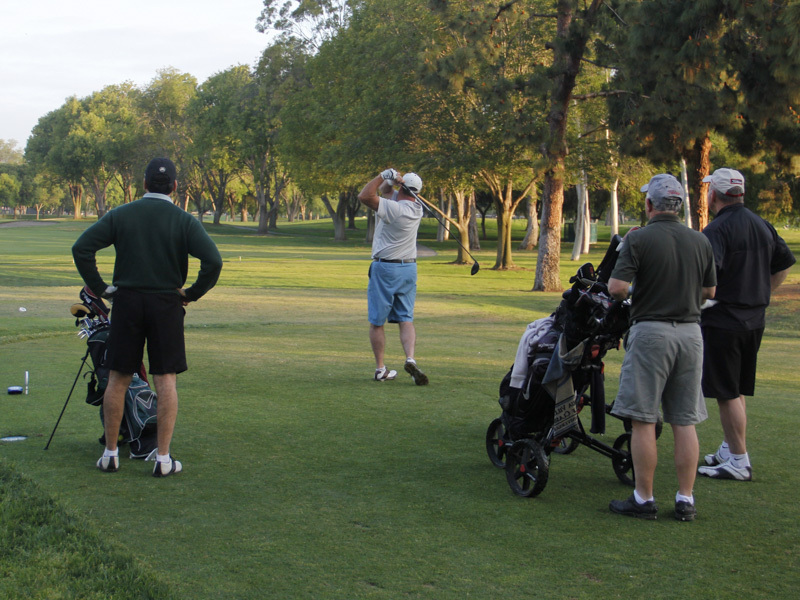 The monthly meeting of the El Dorado Park Men’s Golf Club was held on Tuesday, February 12, 2019 in the Big White Tent. The pre-meeting rainy night comfort meal included salad, meat loaf, corn, mashed potatoes, gravy and cookies for desert. The meeting was called to order at 7:00 pm by President Cliff Aichele who led us in the Pledge of Allegiance. There were approximately 65 members in attendance, including Past Presidents Richard Scoville, Jerry Leininger, Dennis Tramer, Mike Montgomery, Nick Zamora, and Life Member Bob Livingstone. New members Bob Schwing and Andrew Cochrane introduced themselves to the group and were given the New Member Spiel by Past President Nick Zamora. 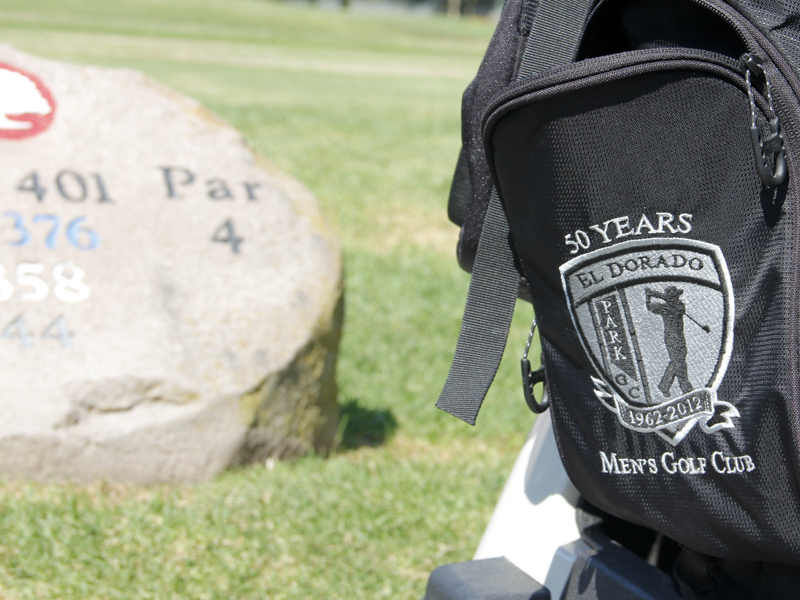 Director Bob Livingstone discussed the updated 2019-2020 El Dorado Park Men’s Golf Club Hard Card, which identifies Conditions of Competition, Local Rules and SCGA Team Play Conditions pursuant to the various new/revised USGA Rules. Bob noted that we will be playing “winter rules” this weekend and explained “one scorecard distance.” He also discussed various bunker (never call it a trap) issues and ground under repair issues. 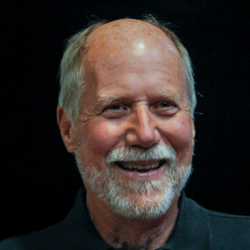 Director Jerry Leininger reported that SCGA is requesting your thoughts relative to Orange County’s proposed shutting down the Players Course at Mile Square. Go to the SCGA website to express your thoughts (displeasure?). Director Mike Montgomery re-emphasized the need to BE READY to tee off at your starting time. With limited daylight hours this time of the year, and our 180+ players every month, we all need to be ready and keep up with the group ahead. Mike also noted that Director Terry Fulford was having knee replacement surgery but would probably be back playing real soon. Director Matt Huntington announced the Golfer of the Month for January. As there was only one card turned in, Net GOM was Mark Ziegenhagen with a 68. My 102 would have won gross if only I had turned it in! Matty noted that the Thursday Team was 1-1 and the Saturday Team was 2-1, with both teams having rain-outs to make up. Director Don Didier announced the Special Events for this month’s Select Drive Tournament. We’ll have CTP on Holes #9 and 12 (paying 5 places each), and In the Circle A and B Flights/On the Green C Flight on Holes #3 and 17. Don noted that 52 players cashed in the January Tournament. Director Lucero summarized the results of our first Away Tournament of the year at Rec Park, where we had 80 players. 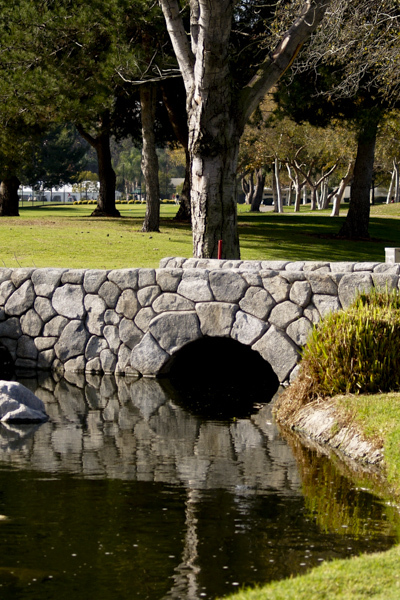 Our next Away Tournament is March 31 at Costa Mesa’s Los Lagos course. Contact Lucero asap to sign up. President Aichele noted that Nick Zamora was collecting $5 for the Hole in One Fund, since it was recently won. The $5 is a cheap insurance policy so see Nick to sign up. 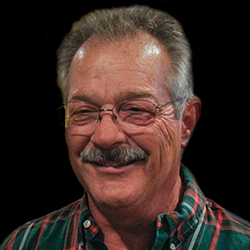 Vice President/Tournament Chairman Dennis Tramer announced the results of the January Scramble, noting that it went well in spite of the public groups that the course started before us and who were responsible for significant early delays. February is Select Drive: 3 Best balls, 80% handicaps, and a minimum of 3 drives per player. Times run from 6:24-11:57. The March Tournament is the 2-3-4 Pat Harris Waltz. The $50 Drawing winner was Brad Wilcox. Daylight Saving Time starts this year at 2:00 am Sunday, March 10 and ends Sunday, November 3 at 2:00 am. The Putting Contest will be held on meeting night during the months of March, April, May, June, July, August, September and October at or about 5:15 and continue to 6:45 pm on the south green. The Board has voted to increase the Putting Contest stipend to $50 for each month's putting tournament. Normal participants are welcomed back and new players are encouraged to participate in this fun activity. Bring your putter and take a shot at winning a little extra cash. Format changes monthly. The Quad Club is to be contested Saturday April 27 at Skylinks. We are playing to bring the trophy back to our trophy case. Teams will consist of 25 players. Cost to play will be $60 per player which includes green fee and prize fund. Our team players have been selected as well as contacted. Your handicap will be determined per your April 15 Current Index. Please have your money to me in cash or a check payable to “Mike Vaughn” ASAP, NLT the April 1 Gross / 2 Net tournament on Saturday April 14. 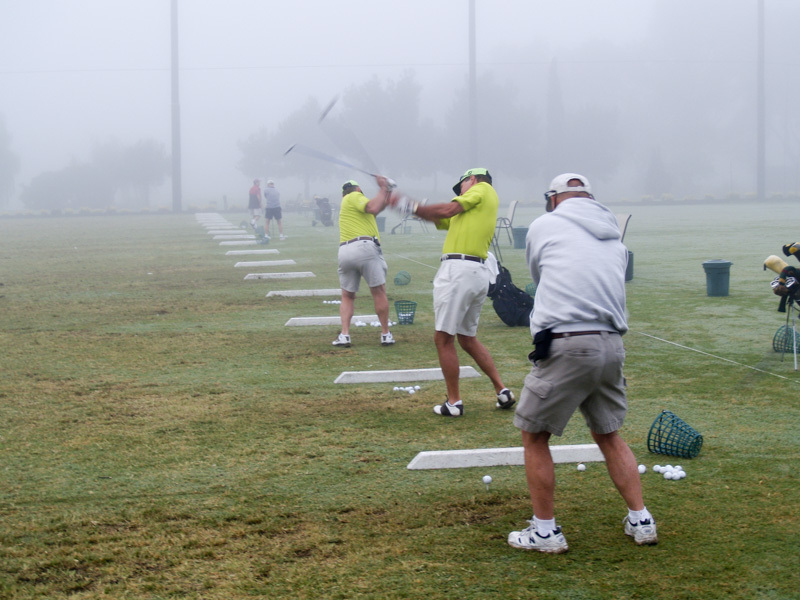 The first group starting time will be Club Pros at 7:00 am. The President / Vice President group will most likely tee off second, with groups proceeding from lower to higher handicap. It is not yet known which tee we will be playing from. The format will be Medal play using the 3-2-1-0 point system. Players who win 3-points this year will have a roster spot guaranteed for the 2020 event when the event moves to Recreation Park. The Flight Championships will be put together in mid-summer. Those matches will get underway as early as August 1. Player entry fee will remain at $20. Signup sheets to be posted NLT June 1. More on that when the time gets closer. 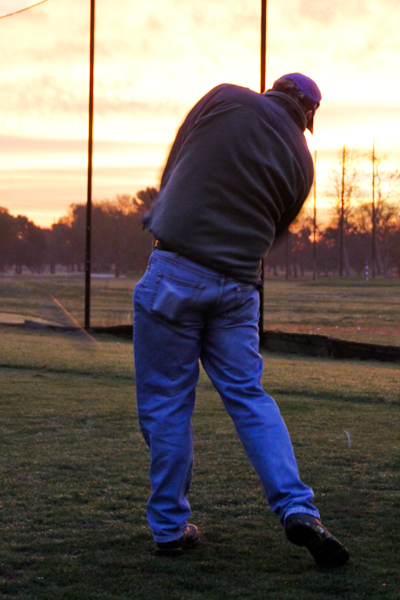 On Sunday the 17th of February, the Select Drive went as well as could be expected with the wet course conditions. Fortunately it only rained for about 10 minutes. Scores were lower than normal, more than likely because all the Tees were up and we played #10 & #18 as Par 4’s due to wetness. In the “A”, nice to see the “Big O” and his Merry Band of Bandits win the Gross as the winners with a 10 under 200 was Omar Diaz, Jim Byers, Dave Rubin , Justin Vanderbroek & the infamous Blind Draw. Getting the “A” Net at a 30 under 180 was Josh Dubón, Matt Williams, Matt Dao, Ketan Dhawan & once again the infamous Blind Draw. I can attest that these 2 prior teams must have played well as the Blind Draw was a 2 HCP and he played on my Team. That means on 3 par 4 holes he had to hit 4 iron or more. In the “B”, winning the Gross with a 2 over 212 was a shocker as it was Don Didier, Brad Wilcox, Mike Miller, Tony Glorioso & Ken Cheong. I play with these guys every Wednesday and trust me, they are not that good! For the net winning a cardoff with a 29 under 181 was Bob Schwing, Jim Zehmer, Phi Dauk, Vern Cannon & Jim Fuchs. In the “C” Flight, winning the Gross with a 5 over 215 was Brian Ball, Scott Lindman, Dewayne Kirksey, Anthony Coyne & Jim Coates. The net winners at a 30 under 180 was Ken Rademacher, Jeff Nakao, Jim McDavid, Phil Friess & John Kilgore. Boy, these guys do pretty good when they don’t have to play there own ball through the hole. As always all the results are on the website. Coming up on SUNDAY, March 17th is the Pat Harris 2-3-4 Waltz. This will be played from the COMBO Tees. I AM OUT OF TOWN FOR THIS TOURNAMENT AND MEETING. Any Team that is not filled by March 7th I will fill it for you. I need to have as much of this done before I leave. The “PREZ” Cliffy is going to handle this for me so if you pay on Meeting Night look for Cliff. Any changes text me as I will have access to WIFI and make all the changes. At the meeting, Nick “The Quick” Zamora will be taking signups for the 1 Gross/2 Net which is on Sunday, April 14th. Plenty of times available so everyone should get in. We will play the White Tees for this one. Congratulations to winners in our February Select Drive Tournament Special Events. 51 players earned points. Dewayne Kirksey was the only B Flight player to get inside the circle on #17. Only two A Flight players did the same on the 17th. B Flight stretched the meaning of “Closest” on #9. Winning shot was 19 feet and payed out to 57’-10”! Nice Colin! There were some great shots on the Closest to Pin holes. Scott Lindman, Adam Horodyski, Bryan Knigge, Tony Glorioso, Dennis Smith and Jerry Hodge all hit it inside 10 feet on the longer par 3’s. Well done! Our March Tournament, Pat Harris St. Patrick’s Day Waltz, will see the return of skins to Special Events along with other favorite events. I am not sure about you, but I am done with this winter. 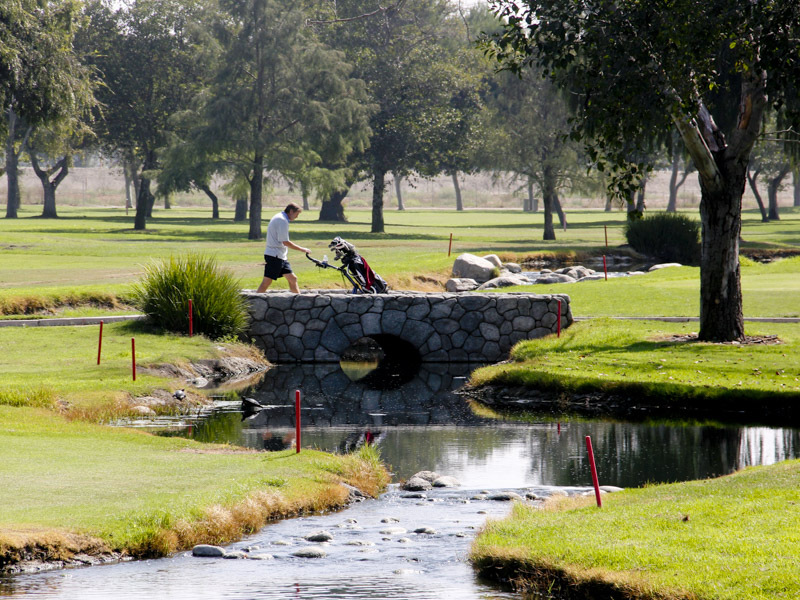 Our next away trip will be at the Costa Mesa Golf Course. We will be playing Los Lagos on March 31st. We will be teeing off from the whites. We are also playing as foursomes. The price for Free fees and Prize Funds is $90 plus $10 skins. I need to have players lists two week prior to the event. I hope tp see you all there. Please ensure to send me groups and player names. March is the start of us posting our scores for the Monthly tournaments. Remember there are at least 3 ways for you to post your scores; on the computer in the pro shop, on your computer/smart phone, or you may contact me and I will post for you. The key is to POST ALL YOU SCORES. The following will play to their assigned or low index handicap until further notice. This includes all El Dorado Club events at home or away. The above listed have either won 3 Tournaments NET or have had their Index adjusted by the Handicap Committee. Keep em in the fairways and POST ALL YOUR SCORES !!! Pat Harris’s spirit lived on during the St. Patrick’s Day Waltz. Lots of smiles and happy faces to go around on a beautiful sunny day. Thanks everyone for helping to make the tournament go smoothly in V.P. Dennis’ absence. 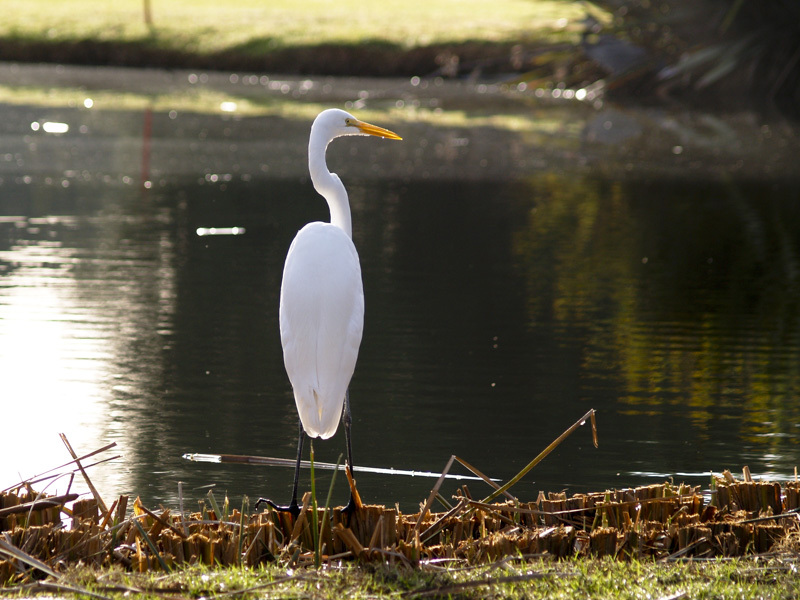 March finished off with a drive trip to Costa Mesa’s Los Lagos Golf Course for another perfect spring day and great course conditions. Thanks to Lucero and Dennis for putting it together. Unfortunately, there were a couple of no shows, NOT GOOD. All it takes is a phone call to Lucero or any of the board members to let them know you’re not going to make it to a tournament. There are 2 opportunities left in April, the 1 Gross 2 Net tournament and the Quad Club Tournament if you need them to qualify for the Member-Member that’s coming up in May. Remember you need to have played 3 events in the previous 12 months to qualify. 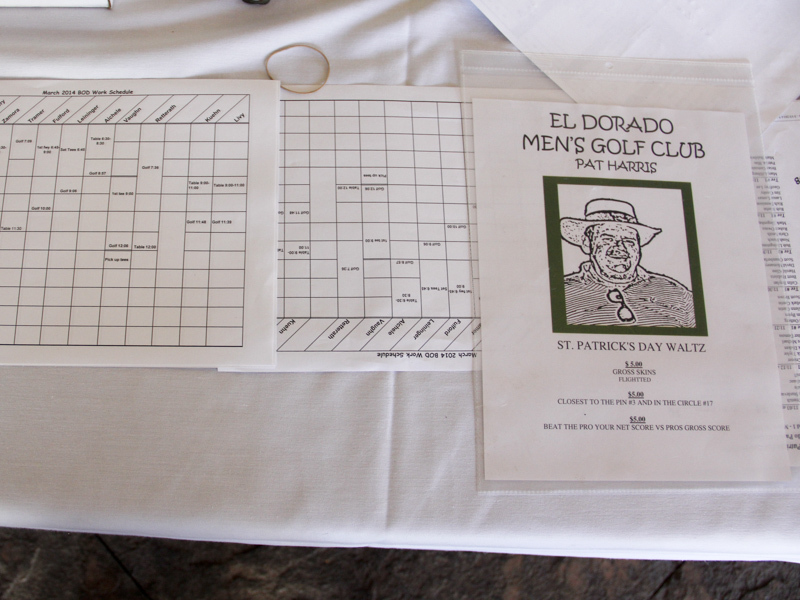 The monthly meeting of the El Dorado Park Men’s Golf Club was held on Tuesday, March 12, 2019 in the Big White Tent. The pre-meeting dinner was the starting to be standard winter comfort meal including salad, meat loaf, corn, mashed potatoes and gravy, and cookies for desert. The meeting was called to order at 7:00 pm by President Cliff Aichele who led us in the Pledge of Allegiance. There were approximately 105 members in attendance, including Past Presidents Richard Scoville, Jerry Leininger, Mike Montgomery, Terry Fulford (and his brand new knee), Nick Zamora, Tom Conlisk, Don Marmion and Life Member Bob Livingstone. New members including Connor Burke, Andrew Pulido, and Mikio Kelly introduced themselves to the group and were given the New Member Spiel by Past President Nick Zamora. The previous month’s Minutes and Treasurer’s Report were approved. President Aichele noted that he would be running the March Tournament as VP Dennis Tramer was not available (On vacation? Under federal indictment? Doing time? Who knows.). Cliff also thanked everyone for being troopers and hanging tough under less than ideal conditions at the February Tournament. 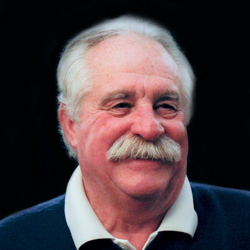 Director Bob Livingstone noted that this coming Sunday (Tournament day) would have been the 86th birthday of Pat Harris, the only member to have a tournament named after him. Bob also discussed rules relative to accidentally moving your ball while searching for it, and relief from sprinkler heads around the green. Director Jerry Leininger informed us that the March Tournament would be played from the White tees and reminded everyone to post their own score. Director Mike Montgomery re-emphasized the need to BE READY to tee off at your starting time. Mike also suggested good thoughts and prayers for the family of Danny Martin whose wife recently passed away. Director Omar Diaz, filling in for an under the weather Director Matt Huntington, announced the Golfers of the Month for February; There were no Gross cards turned in, and only one Net card: Dennis Tramer, who can no longer say “I never win anything.” Winner of the 9 Hole pre-meeting tournament was Colin Boylan, with Mark Ziegenhagen and Ketan Dhawan tied for second. Omar noted that both the Saturday Team and the Thursday Team finished 4-2 but didn’t quite make the play-offs. Congratulations to both teams and their hard working captains. Omar also noted that Ziggy qualified for the Net Amateur Championship at Industry Hills. Do us proud, Zig. Director Don Didier announced the Special Events for this month’s Tournament. We’ll have CTP on Hole #17 (paying 5 places each Flight), skins (gross for A and B Flights, Net for C Flight), and The Irish Jig – net par or better on each of the 7 hardest holes (#1, 3, 6, 8, 10, 13, and 15). Director Lucero reminded everyone that our next Away Tournament is March 31 at Costa Mesa’s Los Lagos Course. It’s a Two Best Ball event, played from the white tees, and the cost is $90. See Lucero to sign your team up. Director Mike Vaughn noted that we had a great turnout for the first putting tournament of the year – 20 participants. There was a three way tie for first – Josh Castlen, Bret Holloway, and Todd Thiele. Mike reminded us that the annual Quad Club Tourney was only 6 weeks away. Director Nick Zamora announced that the pre-meeting Derby would start next month. The $20 entry fee includes green fees and a cart. See Nick to sign up for this fun (and potentially lucrative) event. 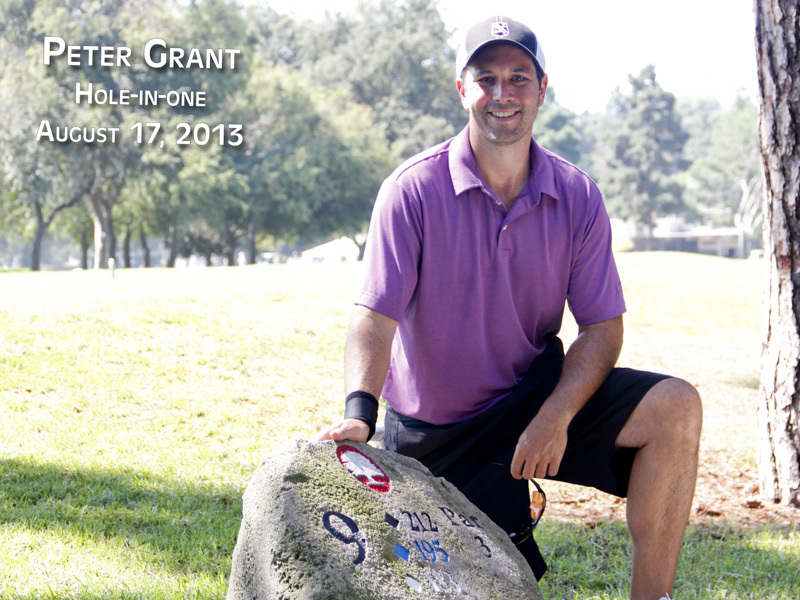 Also see nick to sign up for the Hole in One Fund if you haven’t already done so. President Aichele discussed the new policy regarding pay-outs for a hole in one. The $50 Drawing winner was C J Triola. Hey guys, Quad Club is just around the corner. It will be held April 27 at Skylinks this year. We have our team put together with the intent to bring the Quad Club trophy back to our trophy case! Player cost will be $60 per player which includes green fee and prize fund. Your handicap will be determined per your April 15 Current Index. Please have your money to me in cash or a check payable to “Mike Vaughn” NLT the April 14 monthly tournament. The first group starting time will be our Club Pros at 7:00 am. The President / Vice President group will tee off second, with groups proceeding from lower to higher handicap. As always, speed of play is of utmost importance. The format will be Medal play using the 3-2-1-0 point system. Players who win 3-points this year will have a roster spot guaranteed for the 2020 event when it will be played at Rec Park. The Board voted to increase the stipend for each putting contest to $50 in effort to build up the prize fund! The March “Count them All” putting contest went well. We had 20 players with a prize fund of $175. 10 players collected which is 50% of the field. There was a 7-way tie for 2nd with 1-under 17. They were Corey Henn, Mike Misener, Mike Wilson, Jeff Benedetti, Mike Peterson, John Suttie and Scott Dietschak. 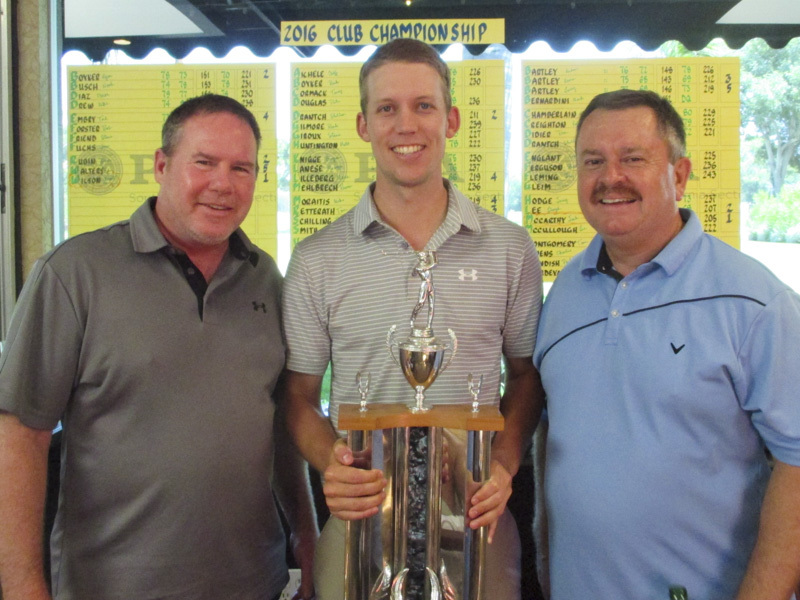 1st place was a 3-way tie at 2-under 16 between Josh Castlen, Bret Holloway and Todd Thiele. Be sure to mark your calendar to be at the south putting green April 9 to participate in the April event. It will begin at or about 5:15 and continue to 6:45 pm. Format yet TBD. Flight Championships are also coming up. Those matches get underway as early as August 1. Player entry fee will remain at $20. Signups will be taken NLT June 1. More on that when the time gets closer. Be happy and have a great time when you are at or on a golf course. Sunday the 17th of March, I heard everything went well. Thanks to Cliffy for taking care of everything. 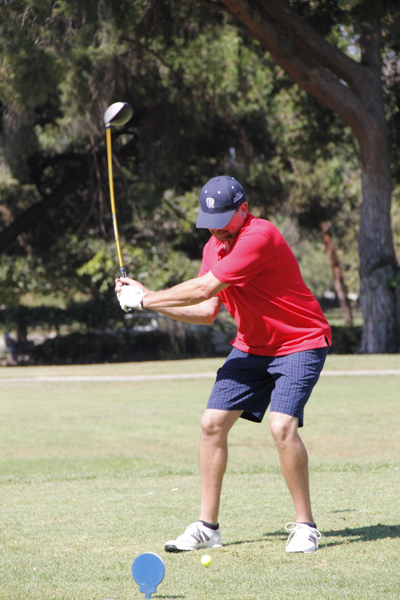 Winners were “A” Gross (No Surprise) Gonzo, Mickey Miller, Austin Barisoff, Christian Villabolos & Blind Draw at 209. “A” net finally breaking through (these guys play every tournament and rarely cash) were Mark Miller, Dave Spencer, Carl Martin, Dean Ritter & Mike Drew at 183. In the “B” winning the Gross winners were Matt Williams, Josh Dubon, Mikio Kelly, Andrew Pulido & Tom Montgomery at 220. “B” net winning a three way card off were Brian Dauk, Bob Schwing, Jim Fuchs, Mike Wilson & Monty Bisson at 189. In the “C” we had a HUGE UPSET for the gross as it was won by Scovey Doo, Paul White, Mark Waldschmidt, Lloyd Lee & Blind Draw at 231. In the Net it was the best “SANDBAGGING” Team around as the winners were Danny Martin, Cary Thomason, Henry Degraaff, Jeff Degraaff & Pingo Zamarripa. Jerry’s bagger list is getting bigger. As always all the results are on the website. Coming up on SUNDAY, April 14th is the 1 Gross 2 net. I would like to thank Nicky for taking the signups for this event. This will be played from the WHITE Tees. Remember because we use 1 Gross ball in the format there is no gross payout in this tournament. Make sure you check your tee times online as sometimes your times change a little. Coming up May 18 & 19 is one of our “Biggies” of the year the MEMBER-MEMBER. COST IS $125 and the signup slips will be in the pro shop and on the website. Real quick the format is Partner Best Ball on Saturday from the Blue Tees and you play at 90% of your 6 month LI. On Sunday it is total score of the 2 players minus full 6 month LI HCP. This day you play from the White Tees. There will be 4 Flights in this event, “A’, “B”, “C” & GAP 8. You may play with anyone you like but if your HCPs are 8 or more differential you will be put in the GAP 8 flight. There is NO GROSS PAYOUT in the “B”, “C”, & GAP 8 Flights in this tournament, but there will be 2 gross payouts in “A” flight. To offset the extra payout in “A” There will approximately 4 more teams in this flight than the other 3. The earlier you sign up the better chance you get for getting the preferred time on your choice of days. YOU MUST HAVE PARTICIPATED IN 3 EVENTS IN THE LAST CALENDAR YEAR TO PARTICIPATE IN THIS EVENT. THIS INCLUDES NEW MEMBERS. Special Events for The Pat Harris St. Patrick’s Day Waltz were shared between 46 players. Billy J was the only player to win in all three events, Skins, Closest to Pin #17 and the Irish Jig. Well done BJ! Lloyd Lee (C Flight) hit it to 3’-3” on #17! Persimmon lives on! David Lee thought he had a C Flight KP at 23’-2”, however he was in B flight and came up short to Dean Booher’s 5th Place 23’-0”. 25 players completed the Irish Jig. Nice dancing! A Flight skin pot was split by 2 skins, B Flight had 3 skins and C Flight had 6 skins. Well done Sticks and Hacks! Complete results can be viewed on our website. April’s tournament is on Master’s Sunday. In keeping with recent tradition, Up Livy’s Creek will be part of the Special Events. 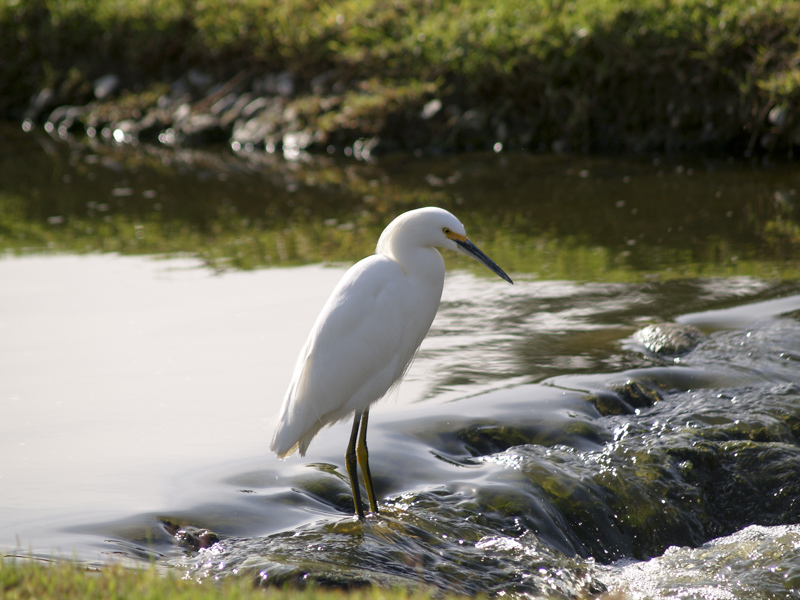 •	$5 Net Par or Better on each of Livy’s Creek Holes 1,2,8,11,13 & 15. •	$5 In The Circle (A&B)/On the Green (C) on Hole 3. I’d like to remind everyone we need your help with Special Events. First, when signing up for Special Events be sure the person collecting your money marks you paid and confirms which flight you're in. The other thing that would be helpful is to have one member of your group responsible for reporting Special Events (Skins & Up Livy’s Creek for April) to the scoring table when your round is complete. 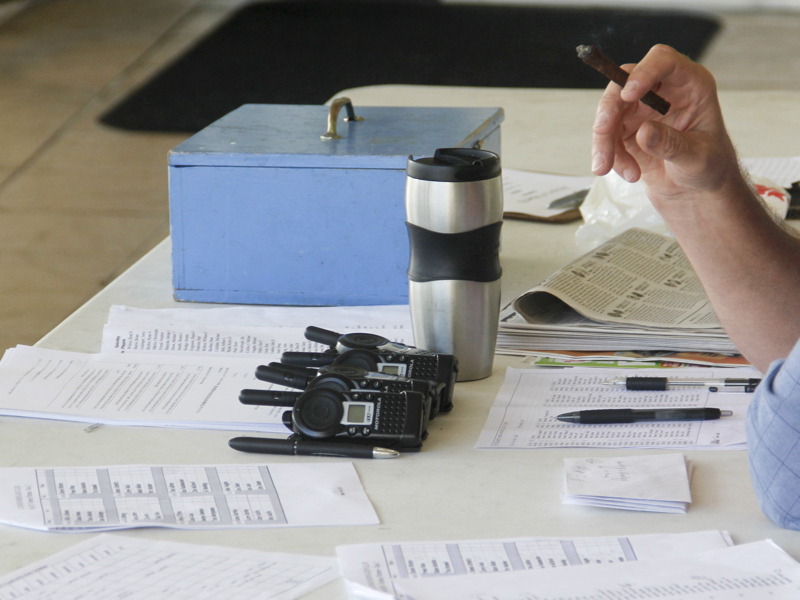 After you’ve reported the group’s Special Events, place your twice signed scorecard in the box at the scoring table. Thanks for your help! Let's start by saying thank you for showing up at Costa Mesa, we had a good turn out and a beautiful day to play with excellent weather. First place went to Dennis Tramer and his bunch of bandidos with a 115 net, maybe we should start playing from the blues from now on. Second place went to Don Didier team with 119, it was a tied for third place with Nick Zamora's team and our team. There were several big winners on the skins with Corey Henn and Brock Livesey with 150 points and 4 other players with 75 points ea. Our next event is at Mile Square, Saturday June 1st., we'll be playing the players course, more info to come. The following will play to their low 6 month Li or assigned Index until further notice. Mike started Jan 1st as a 20.3 and ended March 31st as a 16.2 for an Improvement Factor of 1.145. Very nice improvement Mike. Our runner up with an improvement factor of 1.140 was Michael Harvey. Also showing very nice improvement were; Ketan Dhawan, Ryder Epson,and Micky Miller. Good work gentlemen and keep it up. * The Board decided in March 2019 that the Hole-In-One Insurance would be paid completely in scrip. A $300 scrip card will be held in the Special Events Box and on the day of a HIO, the recipient (if in the Insurance Fund) will receive that scrip card and he can do whatever he wants with that; the balance of the Insurance Fund will be paid by a scrip card at the next meeting.